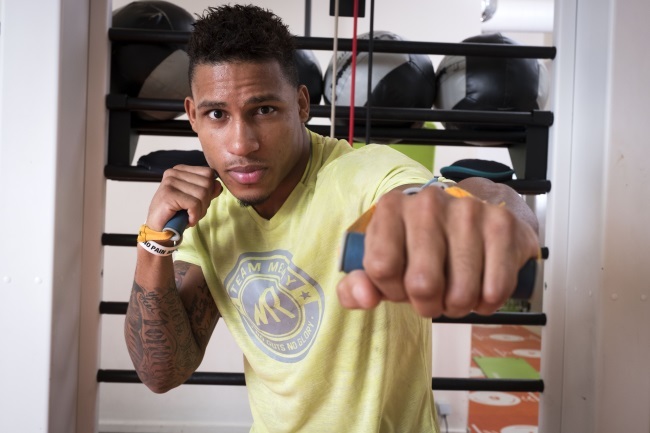 Aspria spoke to one of the Belgian’s finest athletes, Ryad Merhy, about his fitness methods. Ryad Merhy is the pride of Belgium when it comes to boxing. Ryad turned professional in 2013 and won 18 consecutive fights before winning the WBA Inter-Continental cruiserweight title. He would improve his record to 24–0 before getting a shot at the vacant WBA cruiserweight (Regular) title against Arsen Goulamirian. Ryad would end up losing for the first time as a professional as he would go on to get stopped in the 11th round by Arsen. The boxing bug has clearly taken hold of this talented young man who has gained a formidable reputation, and he spoke to us about his passion for his sport, about the intensity of his training, as well as about how he benefits from the clubs Aspria Brussels Arts-Loi and Royal La Rasante.